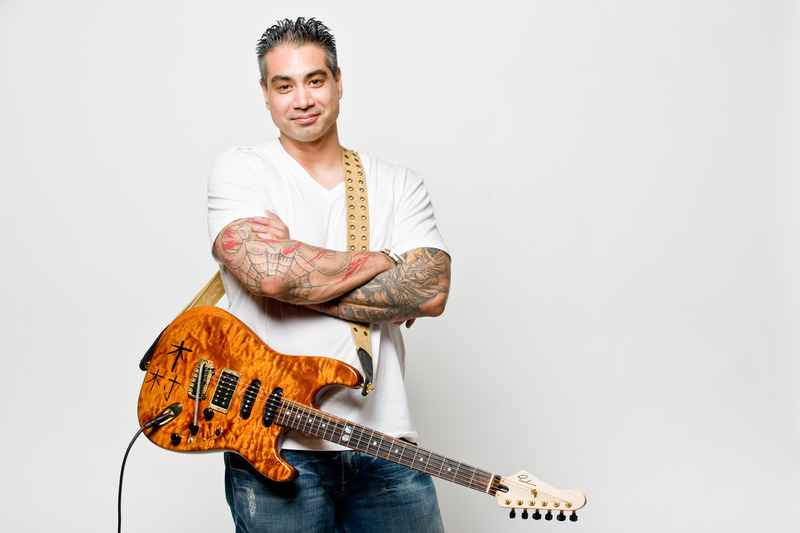 Miami advanced guitar teacher Dyce Kimura here and today I am doing a video blog talking about this concept of advanced guitar lessons. This is actually a very difficult subject for me to tackle, but I thought I’d give it a try. And first off I want to say that advanced students are my favorite students. I am a full-time guitar instructor and I take on lots of beginners, absolute beginners, intermediates; but advanced students and even students that are trying to go pro or semi-pro are my favorites because they are the closest to my heart. You see, before I was a full-time guitar teacher I was a student and I was a beginner student, an intermediate student and I was then an advanced student. So I really know how you feel and what you’re going through as an advanced student. I really enjoy working with advanced students, because first of all we share the same passion of guitar. 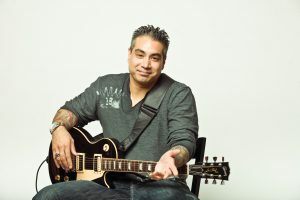 So it’s not just a business, like, I have a guitar teaching business and you want to be a client; it’s more like I love guitar and so do you and how can we really talk and share these ideas and concepts. Advanced students, they tend to be able to understand big concepts, fun concepts so we can do funny songs and we can talk about real gear and band situations, real life situations, where the rubber meets the road, should I say. But I also want to say that the most challenging students I encounter as a Miami advanced guitar teacher are usually the advanced students, believe it or not. So it’s kind of an interesting topic that I want to present to you today, but it’s this dichotomy that my favorite students are the advanced students and at the same time my most challenging students are the advanced students. So I want to talk about a little bit of what I have to navigate as a guitar instructor when I’m dealing with my favorite students, which is advanced students. They are precious, but they can be difficult. And by the way, when I was an advanced student I was very difficult, so I really get it. I was broke and always spotty with my attendance. Fortunately, I had some really good instructors that really cared about me and really wanted the best for me that really helped me. So anyway, now I’m in the position to give back and help other people with their dream, the dream of playing music, of pursuing a passion to play on the level that they want to play. So I want to start this off by just acknowledging that to the advanced students – I’m talking about students that have been playing nonstop for like 3 years or 7 years or even 20 years. The topic and subject of music, your music specifically is going to be very, very personal for you. In other words, this isn’t some nonchalant topic like how your tulips are looking in your garden or… This is something that you deeply care about. You spend a lot of time and energy and money and passion and you’ve been up late at night trying to figure this out for years. So it’s a very, very personal thing, it’s a very attached thing. So for you to venture out of the comfort of your own safety of your mind, or your way of doing things and leave your room or your studio and to go out and then try out a guitar teacher; that is a huge leap of faith I think a lot more than a beginner, if we can acknowledge that. Advanced Students, there is a big hope and expectation that’s going to be probably a lot more than just a beginner, because this is your hopes and dreams. And if you’re an advanced student you’re a specific type of person: you’re not afraid to practice, you’re diligent, you spend money on your passion, you put your money where your mouth is, you show up, you take lessons, you pay for them, you go home and practice, you apply it. May be you’re in bands. You’re a real doer and a go-getter; you’re not just some passive person. Not to put down the beginners, because we all start somewhere, but you’ve really earned your salt if you would’ve reached this place to be advanced. But it is a highly personal topic. Your music is very, very personal and allowing anyone to come into your head and speak into the way you think about music or to expose your weaknesses about music or to help you navigate through your weaknesses I think is a very, very personal thing. Before I really get into more of the nitty gritty details as a Miami advanced guitar teacher, I also want to say you just want to this little talk I’m giving just to say that – let’s just acknowledge that you’re hitting a ceiling in your playing that’s why you’re coming to see me or that’s why you’re seeking advanced lessons, because if you were doing fine on your own the way you’ve been doing it you wouldn’t need a teacher. If you want to read more about how to get good at guitar click here. So I’m going to assume coming into this thing you’ve somehow either plateaued or you’re struggling with understanding something or you’re hitting some kind of ceiling in your learning curve. And this is just after years of experience that I have discovered that in people. By the way, I just want to prequalify myself real quick as a Miami advanced guitar teacher. I’ve been playing full-time for over 30 years. I started playing when I was 6. I’ve taken guitar lessons for like 15 years. I have been giving guitar lessons for like 15 years and I was an advanced student on the guitar – I started at 6 – I was advanced by about 10 or 11 years old. I really get it in terms of all the fears and frustrations and financial woes and all the stuff of being a young passionate student on the guitar and struggling to find a really good advanced guitar teacher that can really get it and take you to the next level. I live in Miami. I am an American citizen, but I grew up in Japan. I had to travel far and wide to find a good guitar teacher. It took me hours and many trains. Anyway, that’s a whole other video. But I want to get back to you. So as a Miami advanced guitar teacher I have to diagnose the advanced students. I want you to know that the diagnosing process can take a long time to properly diagnose you, remember, you’re advanced. You come in to see me for a one hour guitar lesson and of course, the expectation is to start teaching you right away within an hour which I go ahead and do by the way, but you’ve got to realize that within about few minutes I have to actually size you up and see where you’re at and after years of playing. So all your songs and rhythms and styles and grooves could diagnose your weaknesses and strengths. And to be honest and to be fair, I don’t want just a few minutes. If you’ve been playing 7 years I would want like several hours to really get to know everything that you can do. And so I just want to put that out there that if you’re going to go see an advanced teacher then just be prepared for the whole process, the learning process, to pick up the proper amount of steam and momentum. It could take several weeks of consistently going to the teacher until you and the teacher are 100% eye to eye in understanding exactly where you’re at and what you need and how to teach the information in a way that you’re going to understand the process. And of course, I as a Miami advanced guitar teacher I have to understand how you think, what kind of teaching method is going to be most effective for you. Do you learn by sight or by hear? Do you learn just by watching me playing? Do I have to break it down for you? Do you learn by tabs? Do you want to know concepts? Do you want to know music theories? Then I have to get in there. Usually when I deal with advanced people that are self-taught they have what I call cold and hot pockets. So it’s kind of like when you’re swimming in the ocean and it could be a warm day then all of a sudden you hit a cold pocket of water or all of a sudden you’re playing, I’m watching you play and like all of a sudden, oh! There’s a weakness of there. You’re doing all down picking, but I see you don’t do up picking, you don’t do alternate picking. You know a lot of power chords; you don’t know anything past the major 7th. You can do anything else, but you really can’t do back beat rhythms, these are just examples. By the way, on a side note, the most common problems I encounter with advanced students or students that think they’re advanced is the rhythm. The rhythm is usually the universal challenge for most students. Rarely do I have the student that’s really stuck. As a Miami advanced guitar teacher, I have students that learned from me that were not stuck and were just flowing, but those people a lot of times have great rhythm. Usually the people that are really stuck they are usually getting stuck in rhythm. It’s either rhythm or modal playing in music theory; that’s usually the two main spots. The more obvious techniques got ironed out in the intermediate phase. 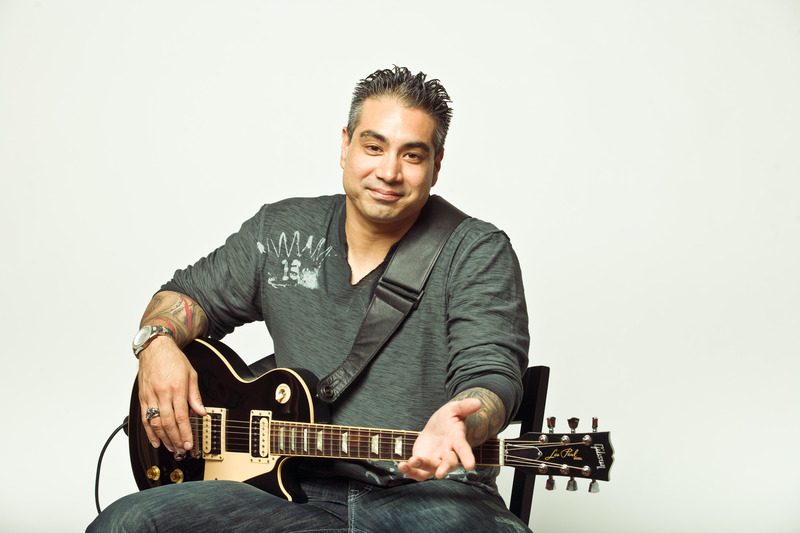 If you want to read more about how guitar playing and teaching has changed recently click here. So I just want to point out and preference this talk by saying, you’ve probably hit a ceiling in doing it your way and I’d like you to acknowledge that. I know it’s hard, but you’ve hit a ceiling and that’s why you want to see a teacher. And in order to see the teacher got to expose yourself your strengths and your weaknesses to your Miami advanced guitar teacher, let the teacher diagnose you and then help you get through your ceiling. Now, what you think is your problem and what’s your real problem may be two different things, because if you go into the situation with a self-diagnosis that may be correct and it may not be correct. So the question is, are you open to your teachers diagnosis of you or do you want your teacher to accept your diagnosis of you? I’ll let you think about that for a second. It’s good to kind of get this stuff out of the way before you go to see the teacher. And that goes to say that you also need to that what about what thoroughly vet your teacher. You want to make sure that your teacher is worthy of being your teacher. You don’t want to get a teacher that can’t diagnose you or doesn’t know what they’re talking about or is a good player but can’t teach. I work really hard personally on my website, dycekimura.com to put all kinds of videos of me playing so that you can really see the way I play and my playing style, my proficiency, my prowlness with modal playing – all kinds of stuff, the technical abilities. All this stuff is obvious on my videos and the reason I took so much time recording these video on my site is I want you, especially advanced people to totally thoroughly vet me just even on the website before you come and make an appointment. That way you can know, is this the guy? Is this the style? Is this the vibe? Is this the delivery? Is this the method that I really want to learn from a Miami advanced guitar teacher? And hopefully, a lot of that is obvious just in that. But make sure you set your teacher. In other words, what I’m really asking you to do if you’re advanced is to come to a place where you trust your teacher. I mean, there is trust that’s needed to take you into the unknown, you’re moving into unknown. Hopefully you are moving into things that you don’t already know and you couldn’t figure out by yourself that’s why you’re coming to see a teacher, but then you have to navigate through these unknown waters of letting a teacher diagnose you and decide what they think you should do. So it goes without saying that there are sometimes a power struggle between the advanced students and the teacher. I really make a point not to struggle with my students. I really do make them steer and let them decide, but I just want to point out that sometimes in my experience as a Miami advanced guitar teacher, I have to really coax them into trying to singing in a different way, because sometimes they have the blinders on of what they think they need and I’m not saying you don’t have a right to that opinion. Think about it, your advanced, so what you’ve been doing have been working to some degree and that was a lot of work to get there, but then to think in a different way might be challenging. You say give me an example what the different way? Well, some people when they come in they’re good at certain things and they say, “well, I really want to learn this song,” and it will be a very difficult song it will be a song that’s way above their level and they’ll assume – and rightly so – they’ll assume if I could play this song then I’ll be this good. I’m this good, but if I could play this song I’ll be this good so you’ve got to teach me this song. And just to give you an analogy is that if you were to do that at the gym with a personal trainer. If you say well I can lift the 100, but I want to lift 300 so we’re just going to do 300 today and you’re going to help me get it up there, but don’t let me get hurt or I’ll sue . You see how that’s kind of ridiculous. If I can lift 100 then I should try to maybe lift 105 or maybe 100 two more times, but assuming I can just go to 300 because I got a trainer is kind of crazy. So I called this the Holy Grail, it’s a Holy Grail or it’s like a Hail Mary and mentality. It’s like, I’m going to bring this crazy song it’s like a Hail Mary. I’m going to throw everything in the kitchen sink at it, because it’s the Holy Grail and I’m going to make you teach it to me. As a Miami advanced guitar teacher I was like, “you know, I don’t know if I would start with that song for you.” Maybe I would start with… Maybe if you’re at 100 I would find something that’s 105. I’d be like what can you really handle for weekly lessons? What can you handle in 7 days? Because I want you to go from victory to victory to victory, I want your first lesson to be victorious. I want your next lesson to be victorious. I want your next week to be victorious, because the mental aspect of this thing is very, very important. If you take on more than you can chew you start getting really discouraged and you get discouraged and you no longer have the appetite to run home and play your guitar with a new level of fire, which by the way, is probably the most valuable thing that you can get from the guitar instructor is the fire. If you love the way the instructor plays and you get motivated when you see the instructor that’s worth its weight in gold, because you can’t motivate yourself beyond a certain point; but if your instructor’s answering questions and can motivate you that’s a really good place to be. So do you understand how dangerous it is to take on project that’s way more than you can handle or attain because it crushes your motivation. And so I might say, “hey, I think you should work on this song, because it really features this one technique that I think will be good for you.” But say you look at that song and you go, “well, that’s an easy song. I don’t need to come and see a Miami advanced guitar teacher to do that song. I came all the way to see you and paying you this money so we need this really hard song.” But of course, you and I both know that it will take you another year of consistent lessons to do that song that you want to do. So you’re setting yourself up for failure. You’re setting yourself up to – you tried the first week and it’s really frustrating you’re getting almost nowhere, but you try to get in the second week and you’re vexed and it’s really not coming together and you tried again the third week and you’re like throw everything you’ve got at it all your free time. You’re just not getting it and then your conclusion is after three weeks of this torture, you think to yourself, “man, this is a sucky teacher. Where did I find this guy? This guy is an idiot? He clearly can’t help me play this song. He can’t tell me lift 300.” But that’s a broken mentality in the beginning. So what I suggest will work for you as a beginner, intermediate, advanced or even me as a pro is you need to think in increments. If you can do this level song when you work with a Miami advanced guitar teacher, you want to do the next level and then the next level and then the next level and then work weekly and keep advancing. Iron out issues as they come up where little increment issues like precision, consistency, alternate picking, attack, grooves, dynamic, timing, form all of these things you can iron them out as you work with a teacher incrementally one song at a time at a song that’s really at your level. And I would even submit to you that there are songs that I think that you may need to do that you don’t think you need to do, that you think you can handle it. Maybe even stuff that you think you already learn, but I’m like now you’re going to see when you work on that that you actually missed the whole point of the song. That’s why you’re plateauing and that’s why you’re hitting the glass ceiling because every time you come against that’s one thing maybe it’s like a back beat or something rhythmical a lot of times, you just kind of mentally check out, you go the other way and you don’t even know you’re doing it. And then, you’ve diminished or belittled these easy songs because they are below you and then you’ve really put on a alter or a shelf where you are really looking up to the ideal or the appeal of these really hard song thinking it’s going to catapult you into this other level playing which indeed if you could play it would, but your nowhere near playing it because you won’t even do the smaller songs, the easier songs. So that brings me to my next topic of learning in increments, which is you should try to get weekly lessons. Believe me this is not a plug for any of my students if you’re listening out there. It’s not a plug that you should come see me every single week and I’m not trying to solicit more lessons out you. I’m saying come on, if you’re going to actually have an incremental increase in your ability to play guitar and you want to check in – let’s say you’ve been trained for like 7 years per se or 5 years and you’ve got 5 years of experience that you expect your Miami advanced guitar teacher to actually understand and figure out what you’re doing, but let’s say your attendance is spotty. Let’s say you pop in once a month or every other month or whatever and your teacher, poor guy, he doesn’t even remember what we’re working on. I will make notes in my calendar so I can remember what I was working on with the client. But it really helps to see you every 7 days, so then we have some kind for routine of what’s going on. So you’re not going to have real increments that is giving you the motivation if you’re spotty with your attendance you’re just kind over it. Now, if you’re busy, if you can’t afford it, I totally get that. But I just today in this video want to talk about what’s optimum, what’s ideal and what’s realistic. Don’t forget you can improve 500% on the guitar. You can improve 5000% in a few months just as a beginner, but you could practice and practice and practice for a year straight and then only improve 5% when you’re advanced because it’s really hard to improve once you’re advanced. It’s those little incremental jumps that are worth their weight in gold and for you to really delight in that and look for that that’s not easy. So that’s why you need a coach to get in with you every single week and to help you with your regiment, your routine and everything about it and it’s expensive. I mean, it can be. I know when I was a struggling musician I had to work 3 jobs to pay for my guitar lesson and guitars and all kinds of stuff, so I get it. I’m not trying to be too strict about that; I’m just saying that’s just ideal. Personally as a Miami advanced guitar teacher, I let students come and go whenever they please. I don’t really give them any flag for it, because I definitely understand. I just want to take this opportunity to talk about what’s ideal. Weekly lessons are ideal. I want to talk about this topic of trust. 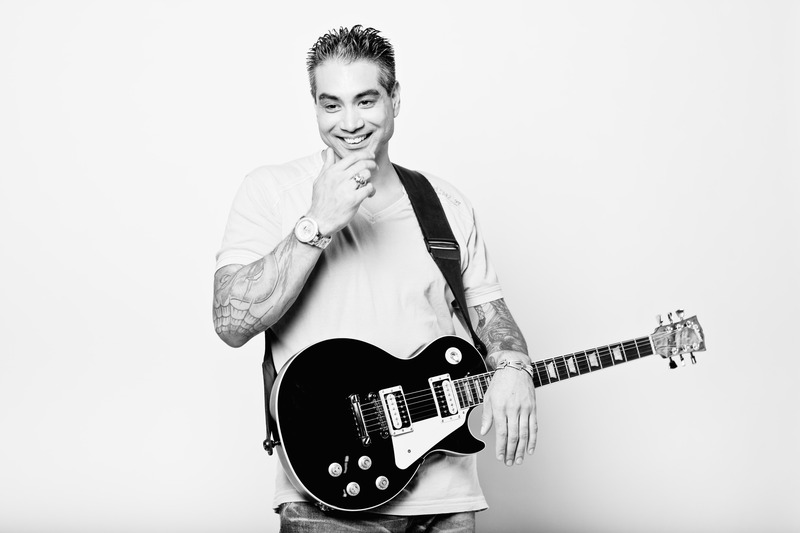 You’ve got to trust your Miami advanced guitar teacher; he or she is like a coach, so at some point you’ve got to realize that there is value in what they’re saying and you want to do it their way and not just your way. And that actually brings up another topic that’s kind of a difficult topic, but it’s ego we all have some degree ego. Now, if you’re an advanced student I imagine you have a little bit more ego attached to your playing than a beginner; because you’re actually good, they are things that you are good at. So it’s understandable that there’ll be like a resistance in you, but I’m saying this to help you. What’s really going to make you improve? It has to be something radical; it would have to be something that you haven’t thought for yourself. You were smart enough to get advanced. You’re hard-working enough to get advanced. You’re tenacious and diligent enough to get advanced, but for you to get stuck and then to get help to get unstuck it’s going to require a mind greater than the one you’re currently in. That’s why you need to get a teacher that you can submit to and be like, “tell me what to do.” Listen, you got the rest of your life to work on your favorite song, but if I can tell you just a peril of wisdom if you really do get in the presence of the great teacher or a great player be in open mind and have an open mentality and say, “what do you think I should do?” That way, instead of telling them hey, I want to do exactly this and you’ll just get exactly that. They could actually hook you up with knowledge way bigger than what you thought or dream. So that’s just an option for you to think off. And it’s all goes back to what I said earlier you’ve got to thoroughly vet your Miam advanced guitar teacher. If you can’t find a good teacher get on Skype or you can do courses online. How can you get your teacher? Bottom line, I don’t care how many degrees they have after their name. I don’t care what their resume is even. If you listen to the way they played their guitar and you don’t like the way they play the guitar then you shouldn’t learn from them. You should be able to go to a Miami advanced guitar teacher and say, “hey, will you just play for me, just play, just do whatever you want and based on that I’d like to make an informed decision if I want to learn from you.” That way we don’t have to make this about necessarily where you went to school. Let’s just make this more about, do you got the magic? Do you got the mojo? Otherwise, I don’t want to waste my time. So it’s not easy – I’ve being an advanced student and it’s really, really hard, but I want to stress again my favorite students are the advanced students because those are the ones that we can talk about with deep concepts, those are the ones that are the most fun, those are the ones that are closest to my heart, because we share the same passion. But it just helps to be able to do this video, because I’m just talking to whoever is listening. Definitely want to hear from you, so please leave me a comment. Give me a like or subscribe if dig what I’m saying, but share with me your experiences; maybe some teachers you have had or if you’re a fellow teacher of some students you had. I want to know your insights. I know I’m always learning and I could learn from you. So thanks so much. This is Dyce Kimura, I’ll see you next video. I’m out.